Hailed by audiences as a powerful speaker delivering an “edge of your seat entertainment experience”, Robert’s presentation style is the perfect combination of inspiration and education. He empowers audiences with new tools to transform their lives into exciting adventures. Robert’s original speaking program; The Greatness Formula; How The Ordinary Becomes Extraordinary©, distills the three tenets and seven drivers of personal transformation that are at the core of living a purpose-driven, influential life. For companies, he brings new tools and the latest science to transform organizations into Enclaves of Excellence©. Robert has over 20 years of business experience as an investment banker, management consultant, and entrepreneur. 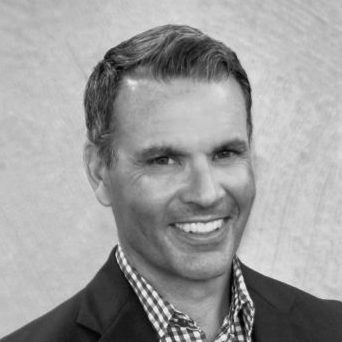 He has worked with elite members of the military, entrepreneurs, and some of the most recognizable brands to stimulate innovation and champion purpose driven transformation. An avid writer Robert began keeping a journal at an early age and found it an interesting rear-view perspective of life. 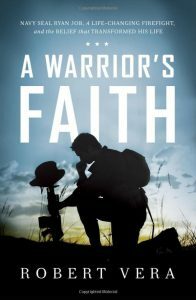 In 2015, he crafted his journal writings into his first book; A Warrior’s Faith (HarperCollins 2015). The story became an Amazon #1 Best Seller and earned the publishing industry’s 2016 Illumination Silver Medal Award for Best Memoir. After graduating from Boston College with a degree in Political Science, Robert accepted an appointment as a Staff Assistant to United States Senator Edward M. Kennedy where he managed military and veteran constituent services. He transitioned from government into a finance career where he worked for fifteen years. It was during this period when he took up a hobby of racing Ironman triathlons. Fascinated by the mental, physical, and spiritual transformation that he experienced as a result of a day-long race that includes a 2.4-mile swim, a 112-mile bike, followed by a 26.2-mile run, he traded in his banking career to become a technology entrepreneur. Robert distilled the revolutionary tenets of Ironman training into a first-of-its-kind online lifestyle transformation system. This system was adopted by the White House to become the platform for the President’s Challenge, a program of the President’s Council on Sports and transformed the lives of thousands of participants. He is the Founder and Chairman of the Institute for Transformation, a non-profit organization that offers educational programs to entrepreneurs. He serves as a mentor to returning veterans and leads groups on “Transformational Expeditions” across the Grand Canyon, to the summit of Mt. Rainier, and other locations. He is a board member and a consultant to a select group of corporations and non-profit organizations including, the Patriot Boot Camp, Permission to Start Dreaming Foundation, Voz Que Clama Mission of Costa Rica, and Friends of Freedom. Robert is married with children and lives in Phoenix, Arizona where he works as a professional speaker and writer. Robert Vera delivered an amazing speech at a recent foundation event benefiting those with PTSD. Robert captivated the entire audience within seconds with a powerful message of hope and purpose. Robert is an incredibly gifted writer whose book I have read, but I had no idea he was such a truly gifted speaker. He was able to paint such an amazing picture with his words and motivate others to take real action with the time we have been given. Blessed to have been a part of this event and hear from the heart of Robert Vera and his amazing life journey and story. Best selling author Robert Vera was a key element to a powerful, and successful display of patriotic gratitude. Mr. Vera’s selflessness and tenacious efforts to help our nation’s heroes have earned him great respect in the military community. During his speech, as a veteran was enthralled and captivated. He is well polished, energetic, and blessed with an abundant sense of humor! Robert Vera may be the single most powerful speaker I’ve had the pleasure of hearing. His enthusiasm and delivery make for an “edge of your seat” entertainment experience. His message speaks to the soul touching on the internal struggles we all face on a daily basis. I am already transformed by his message. I am not only inspired to use the principles in my own life but I am also re-energized to use my own gifts to go out in the world and inspire others in my own unique way. Thank you, Robert. I can’t wait for your next talk! I had the pleasure of hearing Robert Vera passionately speak on the Change Formula. He was entertaining, thought-provoking, and totally on target. I have taken the steps to have him speak at our annual meeting.